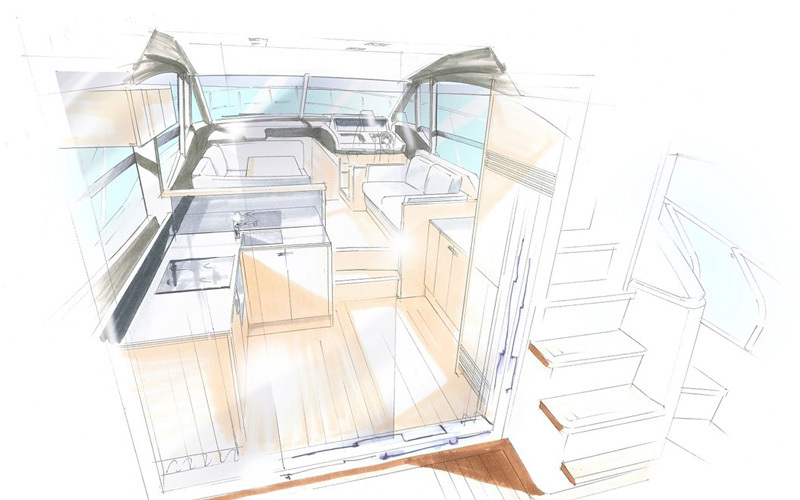 Can a flybridge yacht go up to 35 knots burning 30% less fuel? Princess 49 can! 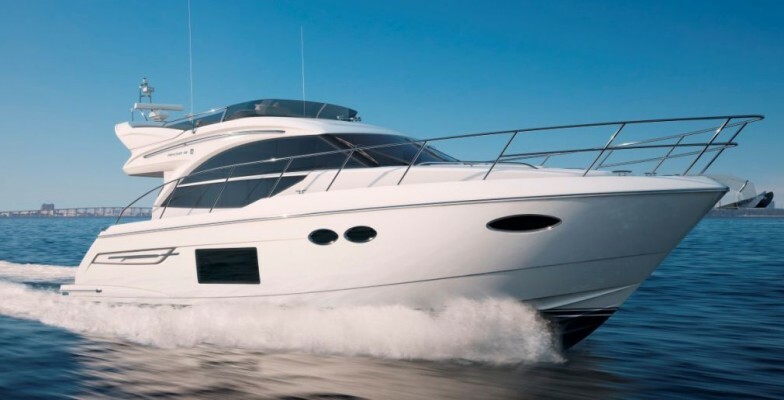 The new and at some point revolutionary model by the famous British brand – Princess 49, will be introduced this year at the British Motor Yacht Show on May 20-22. It is going to be the first flybridge yacht with IPS pod drive system by Volvo Penta. Using the new generation propulsion system Princess 49 demonstrates superior performance all the way: excellent seakeeping, manoeuvrability, easy handling and, of course, cost efficiency. Developing speed of 30 to 35 knots, the new yacht promises unforgettable sea voyage. The unique deep-V hull design provides plenty of space on both upper and lower decks. The flybridge offers a twin helm seat and a large comfortable L-shaped sofa that can be easily converted into a sun lounger. Standard specification includes a built-in icemaker. And a bar with a sink and electric barbeque are extra options. The main deck salon has a very comfortable layout with lots of light from large panoramic windows, and expertly designed galley, which can be equipped with a large full-height fridge/freezer and icemaker. Sliding doors separate the salon from the cockpit that features a U-shaped dining area with a folding teak table typical for the majority of Princess models. Smartly designed space of the lower deck accommodates a spacious and bright master cabin, forward guest cabin with the option of folding berths with electric drive, and starboard cabin with a double berth.